The USD is feeling the heat from the FOMC minutes that were released yesterday evening. We’re trying to not get in the way this time. I have a trade idea for EUR/USD which I will explain below, but I think we must wait a bit longer for things to calm down before going in. There's only so much you can do when your time is almost up. The FOMC minutes from the last meeting were more or less similar to what we had heard in the previous meetings. There were a few dovish comments from some FED members, but again nothing we haven’t heard before. Inflation is a bit on the soft side, but it’s been like this forever. However, the forex market decided to look at the dark side of the minutes and the USD tumbled lower. Although, it had already started to roll down before the minutes were released. There was some consensus for a short term interest rate hike, which means that another increase in interest rates is very likely in December. 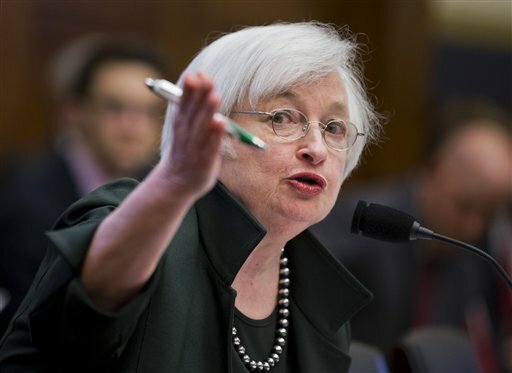 The market consensus is that after the December rate hike the FED will hit the pause button for some time. Some big names in the industry are implying that there won’t be any more rate hikes in December. The EUR/USD is heading towards the 1.20-1.21 level. That area is a strong resistance and EUR/USD turned lower here about two months ago. We’re not there yet, but it looks like we’re headed that way. We will have to keep a close eye to make sure we do not lose this shorting opportunity. 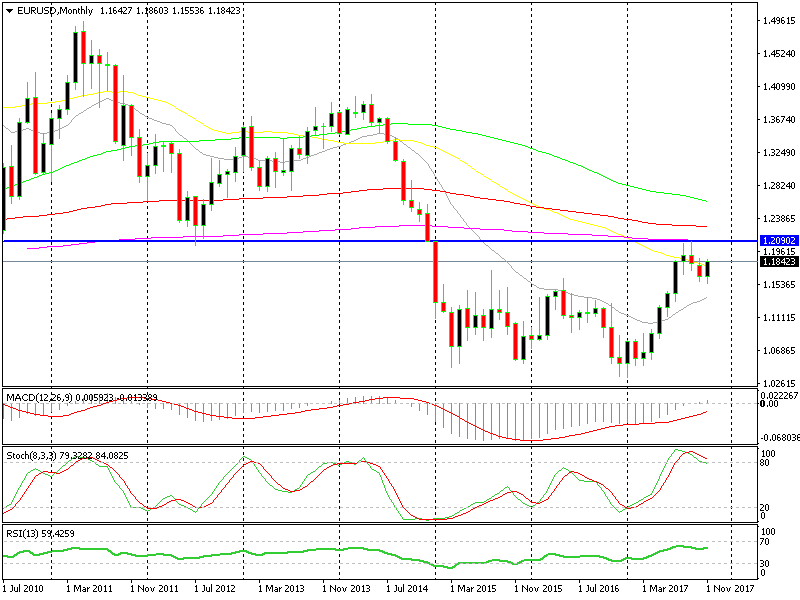 Looks like the weekly chart will be overbought by the time we reach the 200 SMA at 1.21. There was a lot of interest to see the Canadian retail sales report today after last month’s decline. Both retail sales and core sales dived badly last month, so forex traders were eager to see if this was just a one time situation or whether the Canadian economy was in trouble. Retail and core retail sales came back into positive territory so the Canadian economy is saved. However, they missed expectations once again and the market got upset. The CAD slipped lower immediately after the release and USD/CAD jumped around 50 pips. Now, it seems to have stopped as USD/CAD is just sitting around. This forex pair is at 1.2720, which used to be a support, has now turned into resistance. Yet, the buyers are finding it too strong a level. Nonetheless, the CAD is back in bearish mode, so I will be looking to buy this forex pair. As you can see, the monthly EUR/SUD chart is still overbought. Two months ago the price formed two spinning top candlesticks which are reversing signs. The Euro turned lower but is now climbing back. Although, this is mostly coming from the USD, which is losing ground against most majors. Once this USD selling is over, I will try to open another long-term sell forex signal in this pair. Hopefully, by that time the price would have reached the 1.20 level at least, which would give us a much better risk/reward ratio. The US Dollar looks bearish after the FOMC minutes yesterday and the CAD is not looking any better after the miss in the Canadian retail sales numbers. ECB president Mario Draghi is giving a speech in a couple of hours, so keep an eye on the Euro because I heard some dovish comments today from some ECB members.